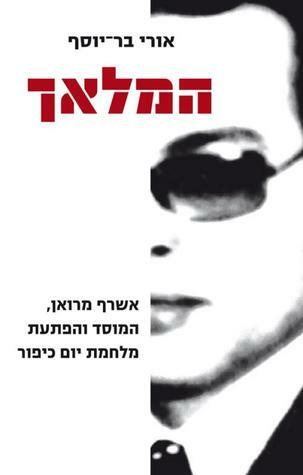 The Angel: Ashraf Marwan, the Mossad and the Surprise of the Yom Kippur War by Uri Bar Yosef is a non-fiction book in which Professor Bar Yosef outlines why he believes Marwan was the best spy who worked for Israel, ever. Mr. Bar Yosef is a professor in The Department for International Relations of The School for Political Science at Haifa University, specializing in national security, intelligence studies and the Arab-Israeli conflict. The Angel: Ashraf Marwan, the Mossad and the Surprise of the Yom Kippur War by Uri Bar Yosef is a fascinating book, as well as a deep, historical and scholarly work. Despite the several assertions, which can never be proven (such as that Marwan’s warning saved the Golan Heights during the Yom Kippur War), the book manages to be enjoyable and enthralling. The story takes on several narratives, Marwan the spy who passes vital information to Israel, the events of the Yom Kippur War (1973) and how Israeli decision makers acted during and after the war. This narrative finds itself appealing not only to espionage fans, but history fans as well making it all the more powerful due to its relevance and factuality. Professor Bar Yorsef dedicates part of the book to Eli Zeira, head of Military Intelligence during the war. Weighing the evidence and using deductive reasoning, the author concludes that Zeira knowingly exposed Marwan as an Israeli agent, claiming he was a double agent, only to share some of the blame for the intelligence and/or decision making failures. The author goes on to include how much damage Zeira caused to the Mossad, including the death of Marwan. While dense at times, The Angel is a good book which shines a light on a gray world. The author relies on firsthand documentation, interviews, deductive reasoning and logic to make his arguments on a case which its facts, most likely, will never see the light of day. Did you read this in Hebrew? I am totally impressed if you did. It sounds like a fascinating book. I hope this book is in English because I would like to read it. Spy novels-nonfiction ones- fascinate me.